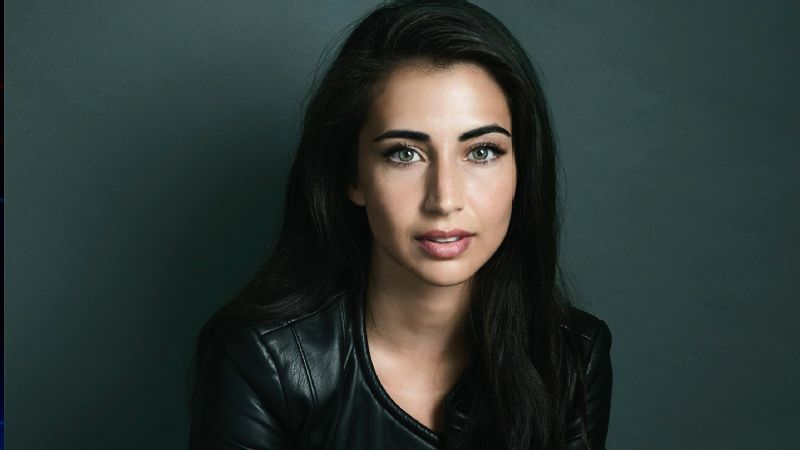 Dilan Gwyn plays Willa Frost in Freeform's supernatural thriller, "Beyond." Actress Dilan Gwyn plays Willa Frost in "Beyond," which airs on Thursdays at 8 p.m. ET on Freeform. The supernatural thriller revolves around Holden Matthews (Burkely Duffield), who wakes up from being in a coma for the last 12 years and later discovers he has newfound powers that put him in the middle of a dangerous conspiracy. It's revealed that while he was in a coma, he was in another dimension, The Realm, where he had built a life with Willa. Willa, who desperately wants Holden to remember his experiences in The Realm, will stop at nothing to protect him in his new world. And in doing so, she serves up and shows off her fighting skills throughout the series. "I want young girls to look up to Willa and see her strength," Gwyn said. 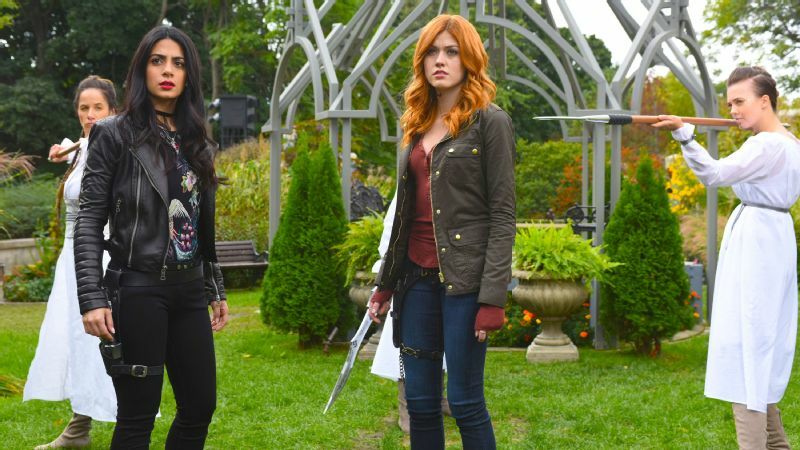 The Sweden-raised actress spoke with espnW about preparing for fight scenes, her martial arts experience and embracing her differences, including her thick eyebrows. espnW: Describe your character, Willa Frost. Dilan Gwyn: Willa is such a mystery; that's why I love playing her. She's this pint-size girl who can also defend herself by fighting. Although she's strong, she has a lot vulnerability, which is revealed throughout the season. espnW: There are some very intense fight scenes in the series, like the one where Willa gets into a pool hall brawl. How did you prepare for that scene and others? DG: That scene changed about three times, so we literally were rolling with the punches. It originally was more kickboxing but then turned into stick work, which I was a complete novice at when we started training. It's really hard and something I had to get used to, especially because the sticks that you train with are a lot heavier than you think. I did two weeks of intensive kickbox training with our stunt coordinator, Fred Royers, and a couple of Krav Maga (military self-defense and fighting system) lessons. I also trained with the kali sticks and those are [typically used in the Filipino martial arts]. My stunt double did the angle shots, but I did everything else. It was such a fun scene to do. espnW: Did you have prior fight training before "Beyond?" DG: I did about two years of karate. That was a long time ago, but it's something that never really leaves you. I was about to take my blue belt [test] when I injured my knee. Oddly enough, the injury happened when I was stretching, and I never got clarification as to what had happened. I couldn't bend my knee without pain, so I had to stop training. It took about a year for the pain to truly dissipate. At that point, there was so much else happening in my life with studies, as I went to [the University of Sorbonne in Paris to study French], and moving abroad to [London] and the States thereafter, that I couldn't pick up the training again. Martial arts does so much for your body and your mind. espnW: What has martial arts done for your body and mind? DG: I like being able to defend myself and feeling empowered and strong -- both physically and mentally. I don't have a huge chunk of muscle mass, so I wanted to learn techniques [that would still be effective] at any size. I believe everyone who practices martial arts builds a stronger sense of confidence. espnW: What insecurities have you overcome? DG: I am Middle Eastern, but I grew up in Sweden. There weren't many Swedes with thick eyebrows like I had as a kid. I was very self-conscious about them. But I learned to embrace my differences because I realized that the world would be boring if we all looked the same. Our differences give us character. Check out Dilan Gwyn's workout playlist here.